The U.S. Supreme Court heard arguments about gender discrimination and citizenship that father’s and men’s rights groups are calling an unconstitutional double standard. Currently, children born overseas who have one U.S.-citizen parent can obtain U.S. citizenship if the citizen parent had been physically present in the U.S. for a certain period of time before the child’s birth, according to the Supreme Court’s blog. If the citizen parent is the father, the period is five years; if it is the mother, the period is one year. So it is much easier for mothers to pass on citizenship to their children than for fathers. The court must consider if the mother-path to citizenship (which is four years shorter than the father-path) is unconstitutional gender-based discrimination. This issue was brought to the court’s attention when Ruben Flores-Villar was charged with being in the U.S. illegally. He claims he is a U.S. citizen, as he would already be if his mother had been a U.S. citizen rather than his father. It is not known when the U.S. Supreme Court will issue its ruling. Get more information on how to deal with family law when you are a man. Visit DadsDivorce.com for answers to all your men’s divorce questions. 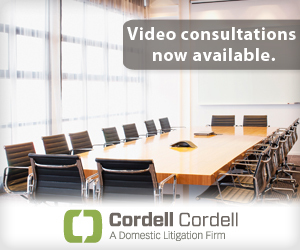 Contact a Cordell and Cordell divorce lawyer for men if you need legal representation as most parties in divorce and child custody cases do.